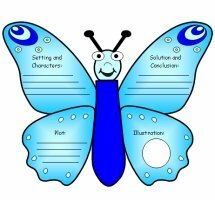 Butterfly Writing Templates: Engage your students in fun creative writing activities! 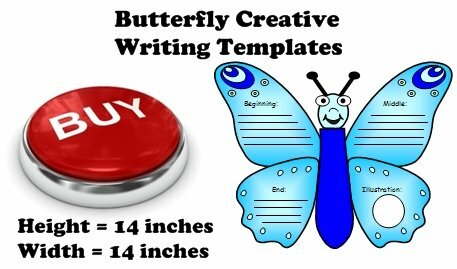 Butterfly Writing Templates: Are you looking for some writing templates that will make your students fly away with creative ideas? 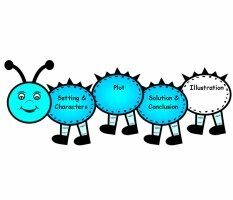 This Butterfly Creative Story Writing Set will provide you with all of the teaching resources that you need for your students to write a story with a beginning, middle, and end. 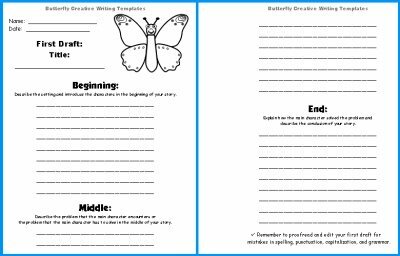 If you have difficulties reminding your students to use paragraphs in their writing, these butterfly templates are a great visual reminder to use paragraphs because each section of their stories will be written in a separate wing of the butterfly. 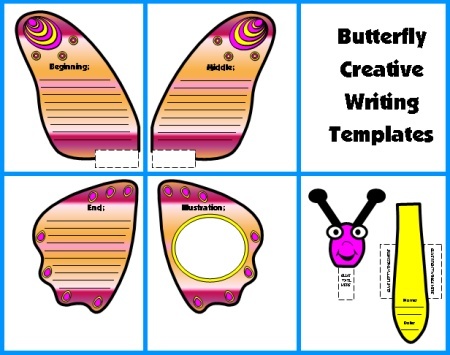 This set of butterfly writing templates contains five worksheet templates that assemble into a butterfly. 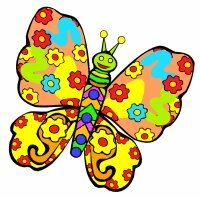 The finished butterfly project measures 14 inches in width and 14 inches in height. 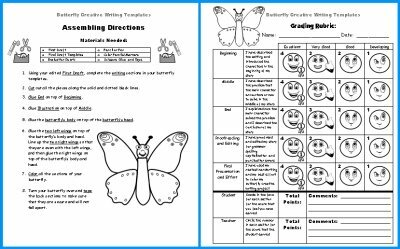 This set includes assembly directions on how to prepare and assemble the butterfly writing templates and a grading rubric. 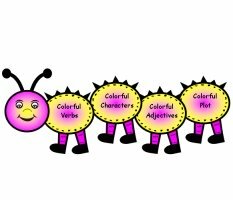 This Butterfly Creative Writing Set requires your students to write a story with a clear beginning, middle, and end. 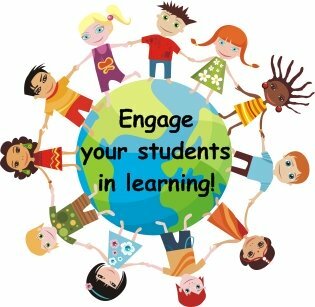 Below is an example of the first draft writing worksheets that are in this set. 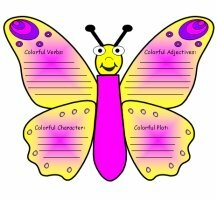 The line space on the first draft worksheets matches the line space in the final draft butterfly templates. 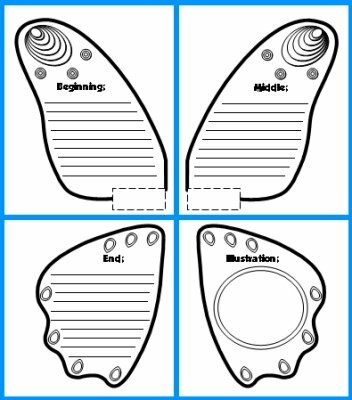 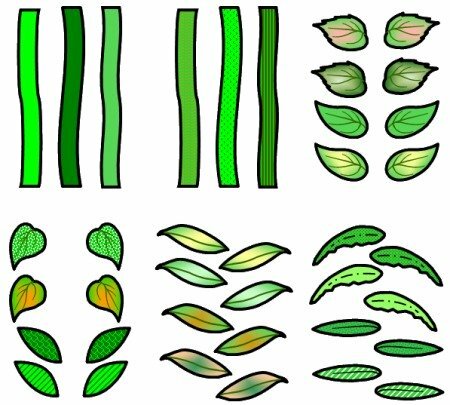 This butterfly writing templates set includes 5 templates that assemble into the shape of a butterfly. 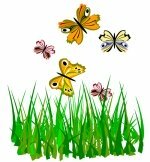 In three of the butterfly's wings, students write the beginning, middle, and end of their story. 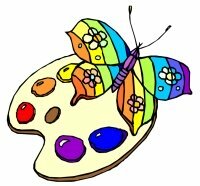 In the last wing, students draw an illustration. 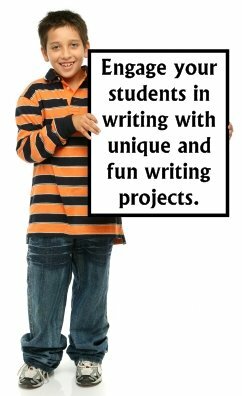 When I am first introducing my students to a new writing project, I believe that it is important for them to have a visual example of what their final draft writing projects will look like. 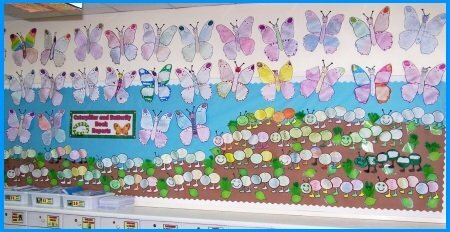 I always assemble the butterfly project myself beforehand and display it at the front of my classroom for my students to see. 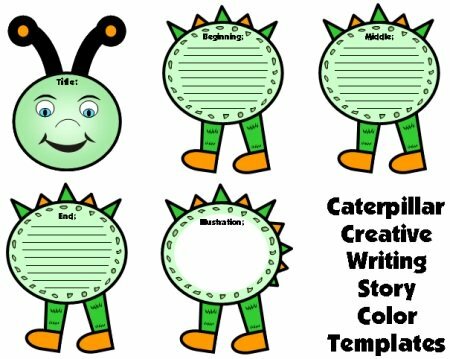 These caterpillar templates have exactly the same writing topics of beginning, middle, and end and the writing lines and spaces are also exactly the same. 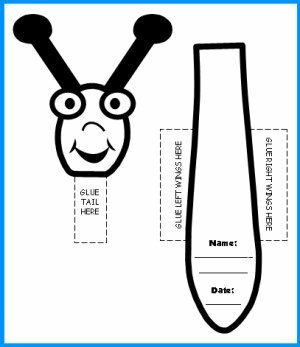 I give my girl students butterfly writing templates and my boy students caterpillar templates. 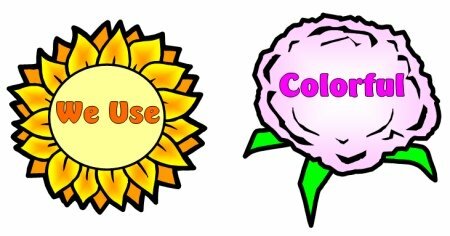 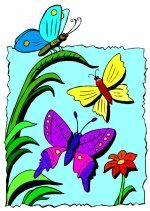 Thank you for visiting my Butterfly Writing Templates page.